The gesture of the woman on the right says a lot. 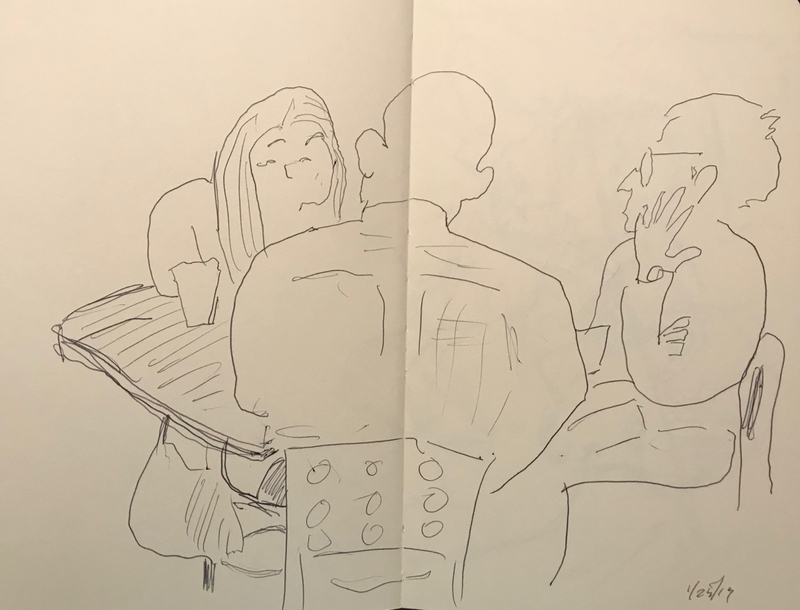 This entry was posted in Personal Stories and tagged art, artistic expression, blind drawing, creativity, drawing, gesture, group portrait, portrait, sketch, waiting patiently. Bookmark the permalink.